The varsity cycling program of Marian University in Indianapolis has played an important role in developing top U.S. talent during the past decade. Josh Johnson (NeighborLink), Zach Bender (Cycle-Smart), Drew Dillman (Think Green), Coryn Rivera (Sunweb), Katie Keough (CannCndale p/b Cyclocrossworld.com) are all alumni of the program, and current riders KK Santos (Amy D. Foundation), Caleb and Emma Swartz (Trek Cyclocross Collective), and Anders Nystrom (ClifBar) are now taking up the mantle as Knights on Bikes. Primarily a track program in the past, Marian has embraced cyclocross in recent years. 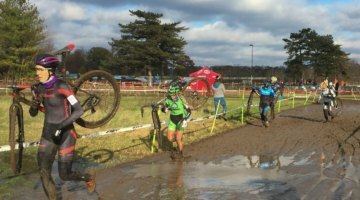 Part of that commitment shows in its hosting of the Major Taylor Cross Cup, held as part of the Ohio Valley Cyclocross (OVCX) series every year since 2012. Marian’s involvement in cyclocross started, somewhat ironically, with a velodrome. 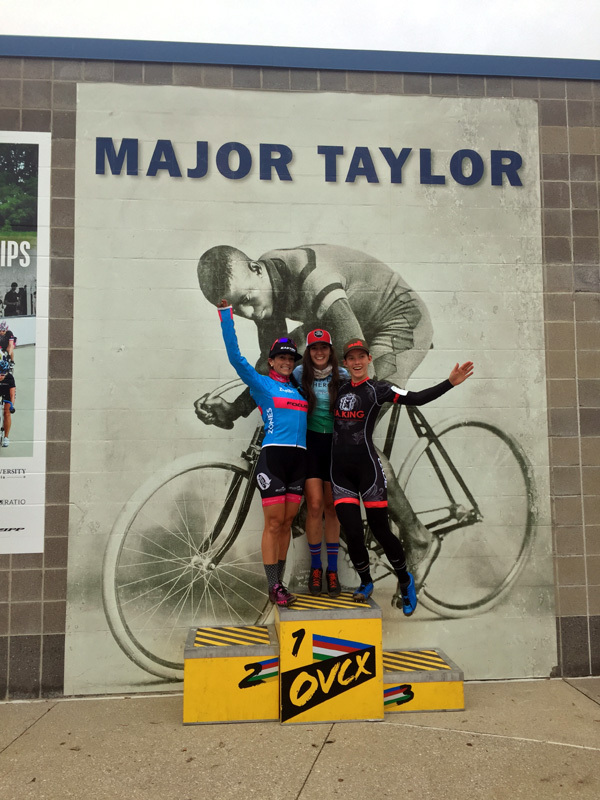 Marian took over operation of Indianapolis’ Major Taylor Velodrome in 2011 and soon opened it to cyclocross events. In 2012, Major Taylor hosted its first OVCX race. Becoming part of the OVCX was an important step for the Marian program in building a quality event. 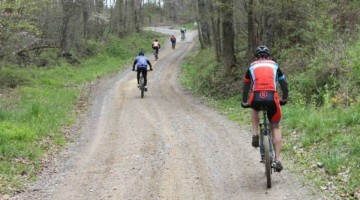 The OVCX is regional to Ohio, Kentucky, and Indiana, and has grown to become one of the nation’s largest series. The Cincinatti and Louisville UCI weekends are part of the OVCX series and its Junior program has developed young talent such as Spencer Petrov. 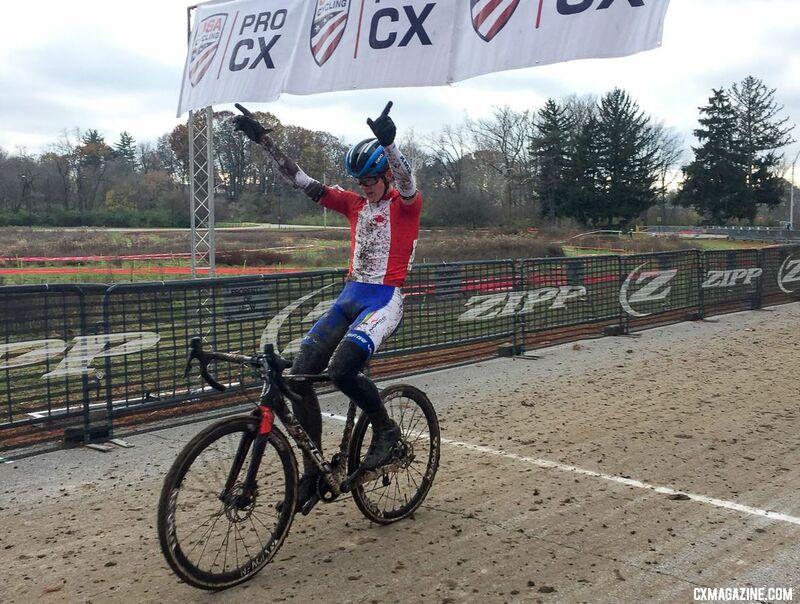 In 2016, the Major Taylor Cross Cup elevated to UCI C2 status. 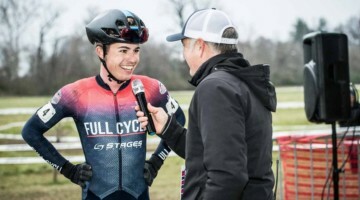 “It was a big step up, but we wanted to be big Midwest players in the ’cross scene to go along with the very successful races already happening in Cincinnati and Louisville,” said the Major Taylor Velodrome’s Operations Director Michael Kubancsek. Equally important for the Marian program are the opportunities and learning experiences hosting a world-class race provide its athletes. Among these are taking their experiences racing across the U.S. and in Europe and translating them into a challenging course design. 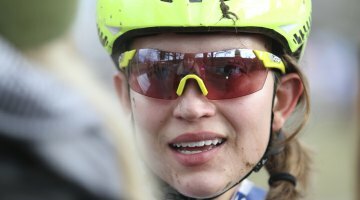 According to Peterson, Marian riders with experience racing in Europe have input on course design. “We use our cyclists to help us, especially the ones who have been in Europe,” he said. “The challenges that they’re seeing are usually above some of what we have in the States. 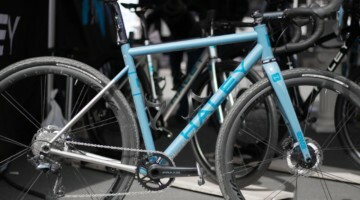 I think young riders are bringing new ideas and fresh ideas to the table for ’cross.” Kubancsek also added that high-level Marian riders were key in dialing in lines and technical features. 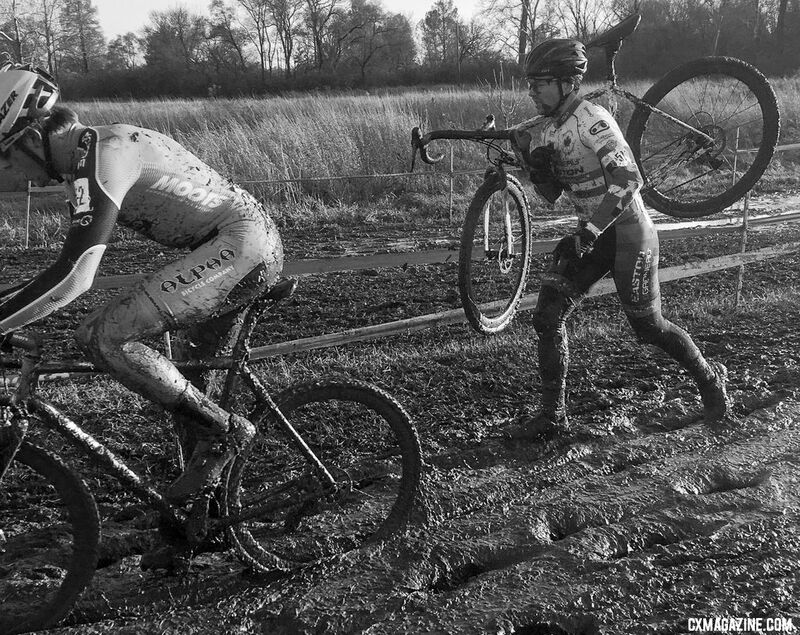 The Major Taylor Cup provided Marian’s young riders with an opportunity to ply their craft as course designers, but it also gave them a crash course in ways weather can affect a cyclocross race. 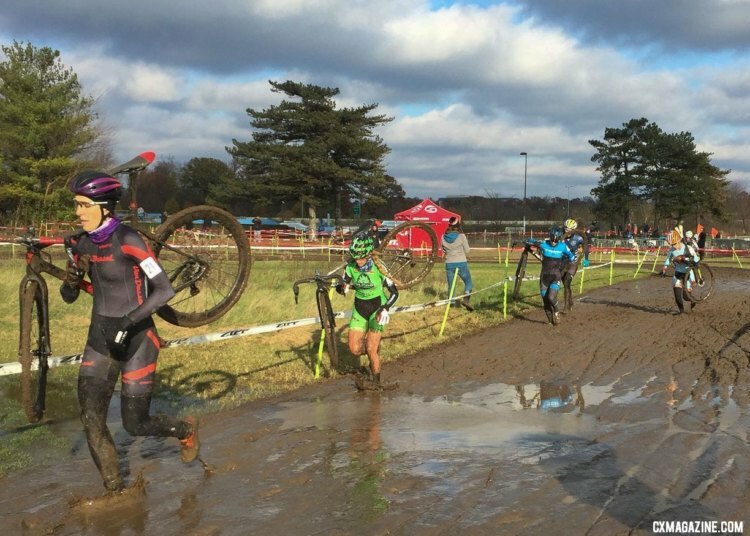 Mother Nature brought intense rains on the start of the weekend Saturday morning and left the course covered in deep, sloppy mud. 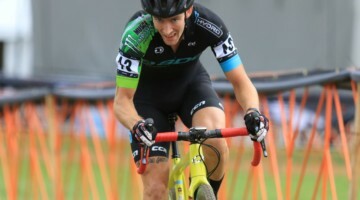 In addition to providing a top-caliber racing opportunity for the OVCX series, the Major Taylor Cup also benefitted Marian’s roster of talented young riders. With their sights set on Collegiate Nationals, the provided an early warmup for battling with other top varsity programs in Reno. 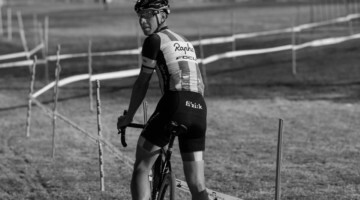 “We especially like to provide excellent race opportunities for the Marian team; it helps us prepare for Nationals and for Midwest Devo, Indy’s junior development team that we work pretty closely with [to do the same],” Kubancsek told Cyclocross Magazine. “It’s very much for our team, we get to do a UCI race on our home turf, campus is right there,” Peterson said. During its time hosting the Major Taylor Cup, Marian’s cycling coaches have learned that having a top-notch venue and enthusiastic young riders still cannot help them escape some of the challenges UCI race directors across the U.S. face. 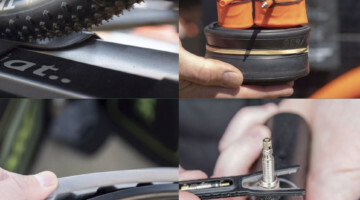 “UCI races are expensive, that’s part of the deal.” Coach Peterson said. 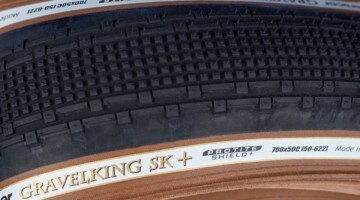 Fortunately, Indianapolis is home to component manufacturer Zipp, who helped sponsor the race with parent company SRAM. Marian’s program has also sought out local partners to help make the race part of the community. Local partners for this year’s event included Silca and Sun King Brewery. 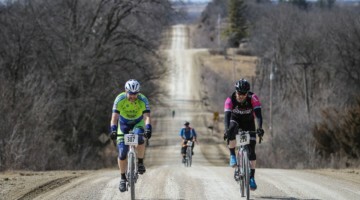 “Hosting these big events also gives some of our other local partners additional marketing opportunities for when we have 400+ riders on site for an event,” said Kubancsek. Despite the rains and mud puddles, racer reports from Indy were positive this year, showing that building the race around the racers has been a success. The other challenge of building a local audience is one that is not foreign to other UCI race directors. 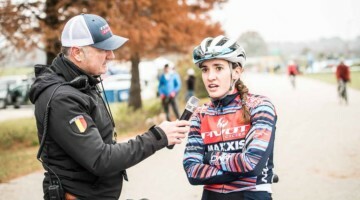 With the Major Taylor Cup, Marian’s cycling program has a lot of positives in its favor, so other directors and collegiate programs will likely be looking at the Major Taylor Cup to see how cyclocross can extend its appeal from racers to a larger audience. 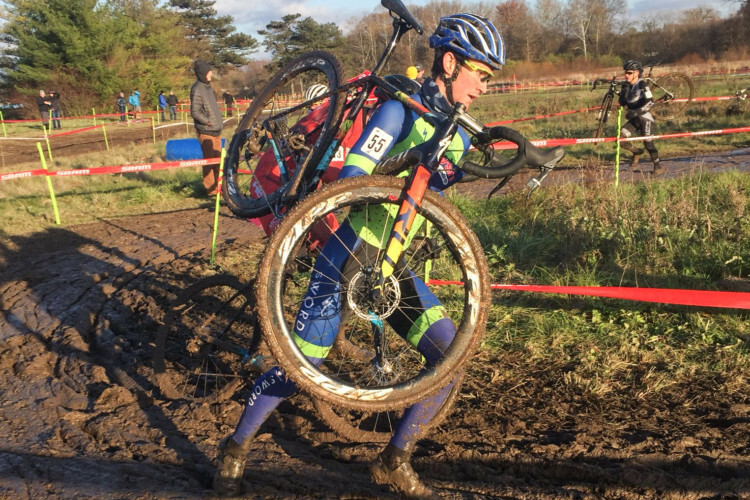 In the meantime, Marian’s young athletes will continue to get the opportunity to try their hand as course designers and learn the ropes of how directing big-time cyclocross events. And who knows, maybe someday one of the young stars will become the next John Meehan or Adam Myerson.